Where should our quest for gentrification end? My husband and I visited Belize a little more than a decade ago. We stayed in the middle of the rainforest in a thatched hut where iguanas poked their heads through the ceiling and monkeys hung out in our open air bathroom. We also stayed in Placencia and ate fish that was so fresh we had literally watched it be pulled from the water. So, in choosing a cruise vacation we tried to select one that would have destination ports that would increase our son’s global awareness. We were excited for stops in Central America, and of course were looking forward to seeing Belize again. 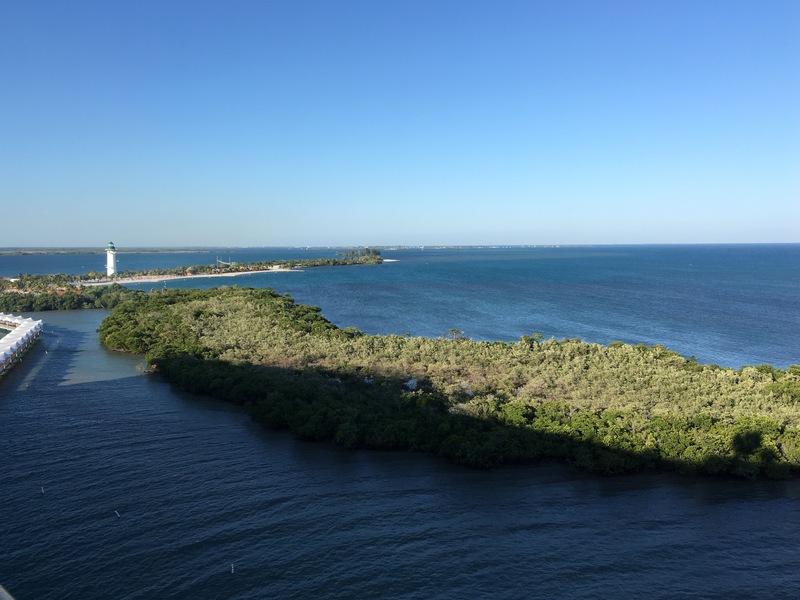 Between our booking the cruise and our sail date, we received notification that our ship would be docking at “Harvest Caye, Belize.” Hard as I tried to find it on a map, it just wasn’t showing up. That’s because up until a couple of months ago it didn’t exist. The land was purchased and built into a destination paradise for cruises – turquoise waters, zip lining, a pool with swim up bar and water park. And, I might add, beautifully done! Having said that, this destination could have been anywhere in the Caribbean Sea or Mexican Riviera. The construction itself was controversial from an environmental perspective, but it was something more that bothered me. It wasn’t Belize. The men and woman employed there all spoke to us wistfully about the mainland, and the rich cultural and biological activities present there. 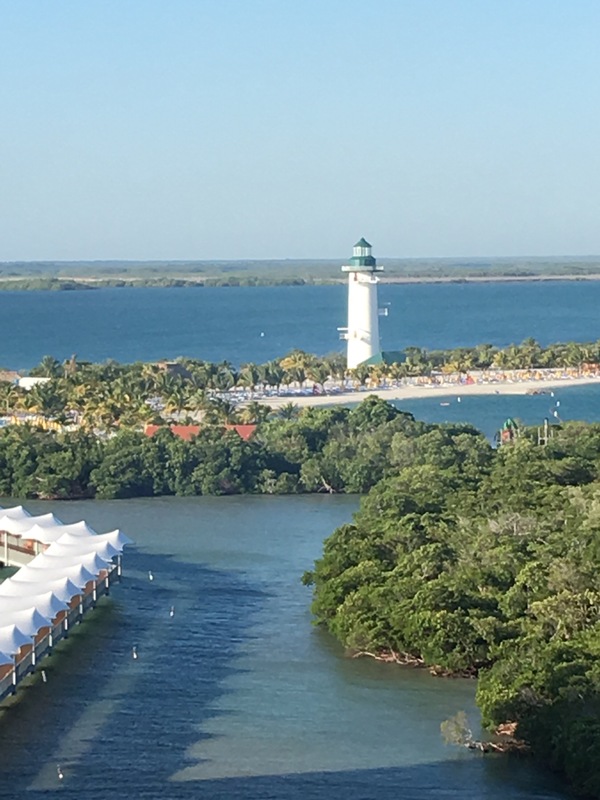 While we enjoyed our lazy day on the beach, it was with sadness that I looked back out over the boat’s edge to see the “real” Belize spread out and beckoning to us behind the newly manufactured scenic lighthouse and all the evenly spaced, perfectly shaded lounge chairs. When has our drive for everything to look and feel pleasant and comfortable gone too far?